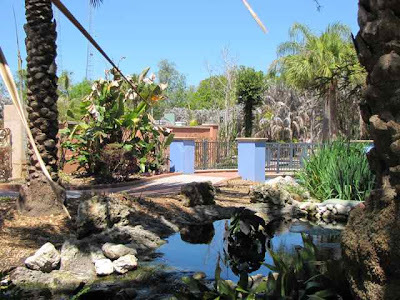 On my way to the airport last week, I found a little surprise here - the Florida Botanical Gardens at Largo, near Clearwater. 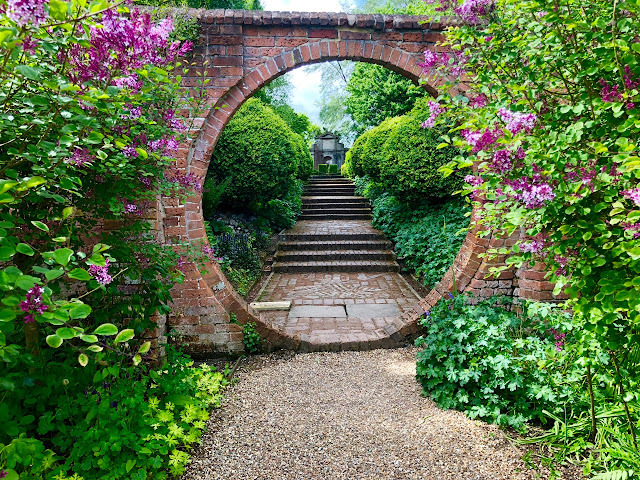 To be honest, I had to take a small diversion to get there, but it was well worth it when I found this little backwater and spent a peaceful hour strolling round the gardens before re-engaging with the hustle and bustle of life! Yet these gardens aren't mentioned anywhere ... not in the guidebooks, or the garden guides that I have been so busy searching during my stay here in the Sunshine State! They are a lovely leafy interlude at the heart of one of the busiest beach areas in Florida, yet there is not even a single sign pointing them out - and if I hadn't had a GPS system, I'd never have found them. 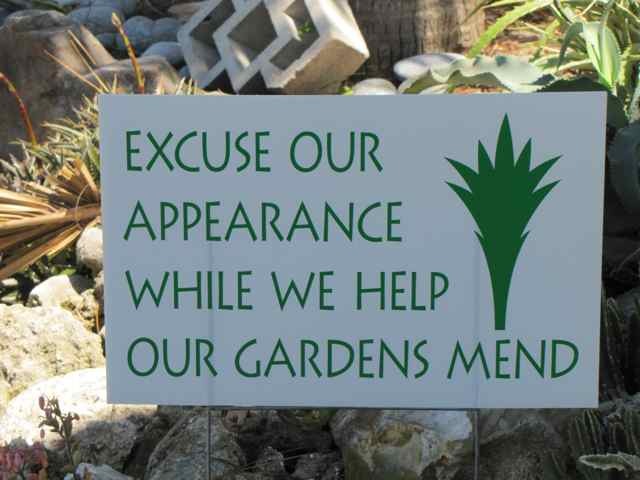 I wrote earlier this year about climate change and the effect that prolonged spells of cold weather this winter have had on plants and trees throughout the state, but here at Largo there are signs everywhere like the one above; there were gardeners at work wherever I looked and sure signs of recovery throughout the 30-acre cultivated gardens. The wetland areas remain in tact, and it is here that you will see birds and alligators in a natural habitat. Extending to nearly 90 acres in total with the wetland areas (which are a bird and wildlife haven), you are as likely to see alligators here as humans! 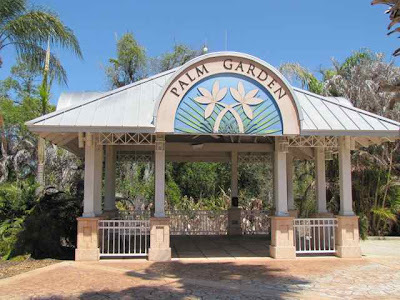 There are demonstration gardens here which include herbs, tropical fruit, native plants, succulents, butterflies, bromeliads and palms. So do take the time to step off the Gulf Beaches and stop here - it's a charming garden with huge potential, and amazingly ... it's FREE! 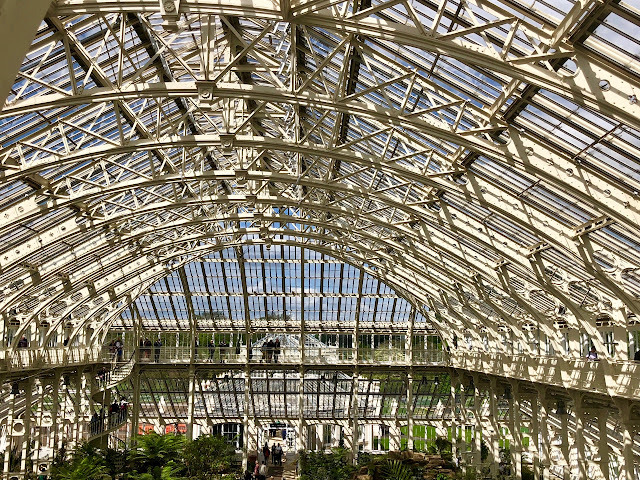 You could easily combine this with a visit to the Sunken Gardens in St Petersburg if you wanted to make a day out. Thanks so much, GG, for highlighting this garden. I sometimes find myself in Clearwater, so I think I can work this one in sometime soon. The "unadvertised" gardens are my favorites! Their cold-damaged palms are a familiar sight to me right now, but as you said, everything is recovering quickly. You sure have a way to find those hidden treasures! It is a little too far away for me though. I will remember that if someday I am going that way. It looks and sounds like an amazing place! That looks like my kind of place -- I hope I find myself in that area one day so I can stop by for a visit. This garden look so simple and laidback. Must be very relaxing against the busy city lifestyle. What a find you've stumbled upon. It's just such a beautiful spot! I honestly had no idea that Florida, and it's plant life, had suffered so much with the cold this year. It's good to read that so many are helping to mend the gardens. This would be a lovely place to visit. 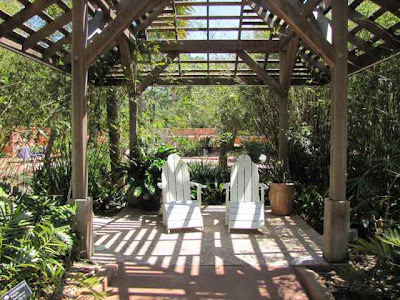 This looks like a very lush but restful garden until I think of running into an alligator. But I'd love to see all the fruit, birds and flowers. Looks very serene! Of course, all the English gardens are still struggling to life. I was at Ightam and it was all mud! I'll have to remember to visit... it looks like even clearwater got a fair share of freezing conditions this year! Great blog and fantastic shots of the place. I decline visiting though I am in England, so thanks for sharing.